A lot is known about the attack on Pearl Harbor, but how much is true and what has become twisted over the years? The war that followed the attack led to frenzy and panic, causing inaccurate information to spread at a rapid pace. This inaccurate information led to myths about the attack, but what is the truth? Here are five of those myths and their realities. 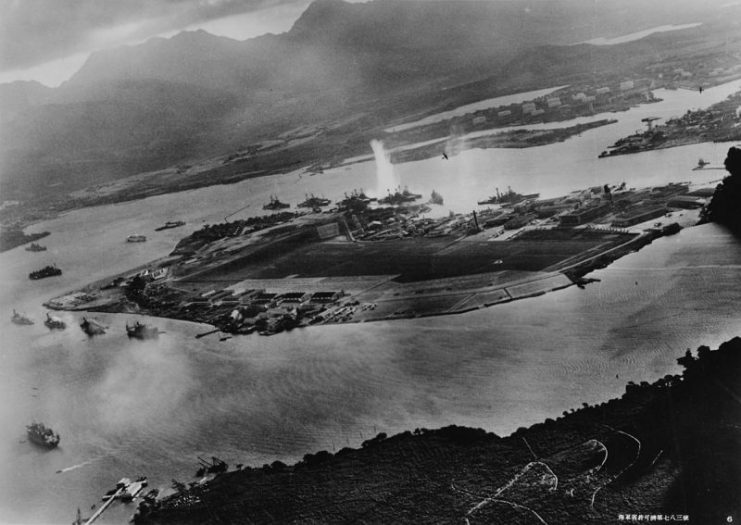 A widely believed myth is that Pearl Harbor was the only target hit by the Japanese on December 7, 1941. 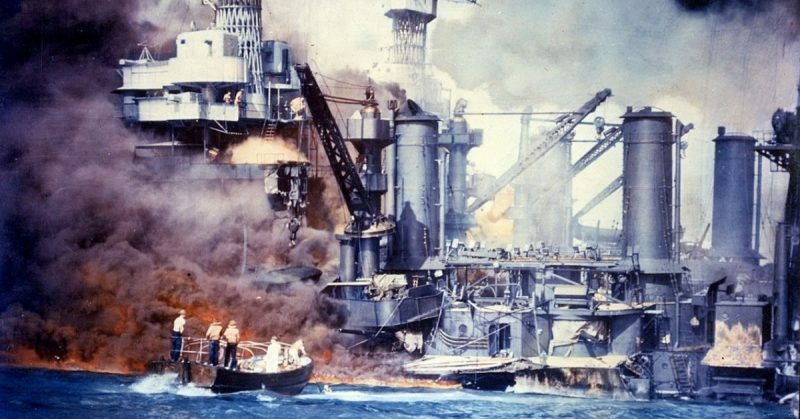 While Pearl Harbor has become the best-known target, it was only one of 6 targets. 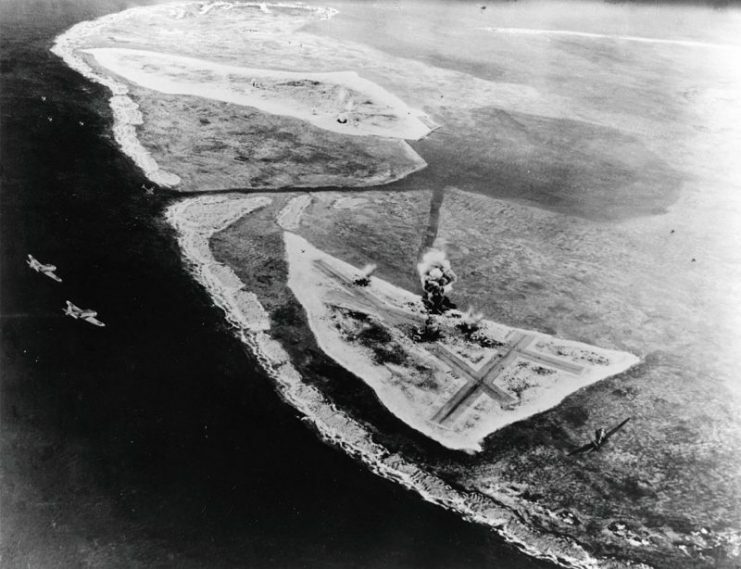 The Japanese also attacked Guam, Wake Island, Midway, Thailand, and Malaya that day. The U.S. Navy heavy cruiser USS Northampton (CA-26) under attack off Wake by a Japanese seaplane. 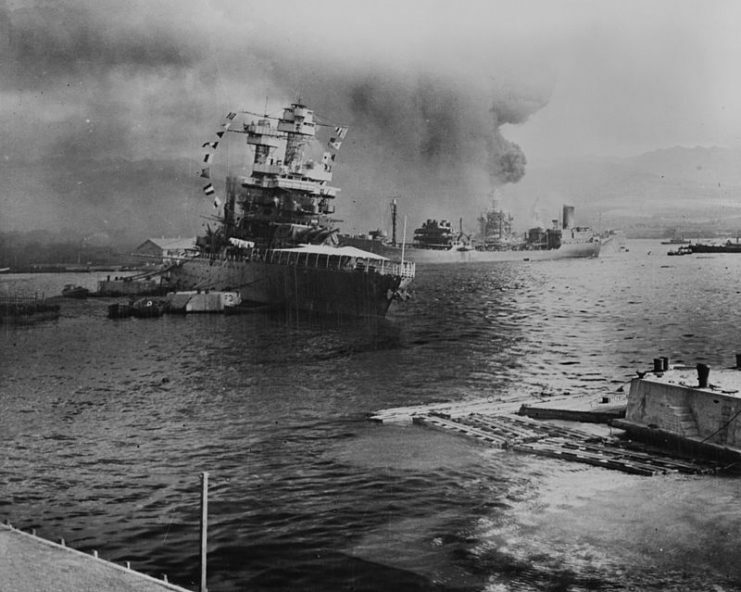 Pearl Harbor was a single part of a larger campaign by the Japanese to control the Pacific. This was a campaign which was successful throughout the following year. Only Pearl Harbor and Midway would not fall to the Japanese during the war. The reason this has become a widely believed myth is the fact that Pearl Harbor was the most crippling of the attacks. It also resulted in the most American losses that day, which brought the war home to most people. This is another widely believed myth that states the country was caught off guard by the attack and had no prior knowledge that one would occur. While there was no way to know the date of an attack, the government was aware that an attack by the Japanese was likely to happen. The rising tension in the region and the increased aggression by the Japanese made this hard to miss. Accordingly, the War Department had already been analyzing intercepted cables between the Japanese Embassy in Washington and Tokyo. These cables led officials to believe that an attack would happen, with the initial date plotted as November 30. A warning of a possible attack on the islands was placed in a Hawaii newspaper. While these warnings can be seen as general and a routine part of wartime, they do show that the government was aware that an attack could take place. Of course, the fact that a Japanese armada was able to travel between Japan and Hawaii undetected does lend some credibility to this myth. 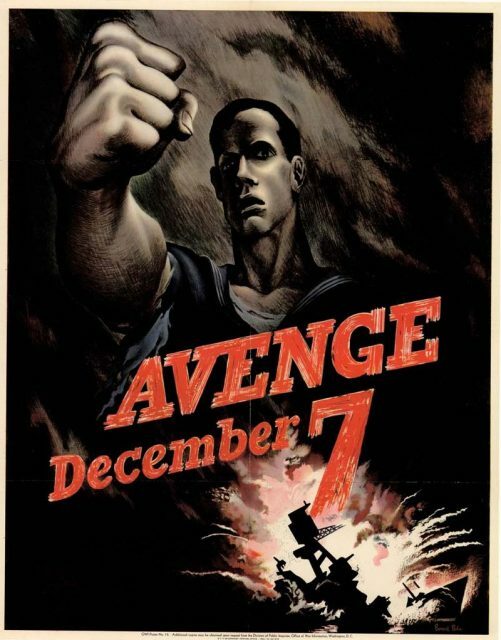 U.S. propaganda poster calling for revenge for the Pearl Harbor attack. 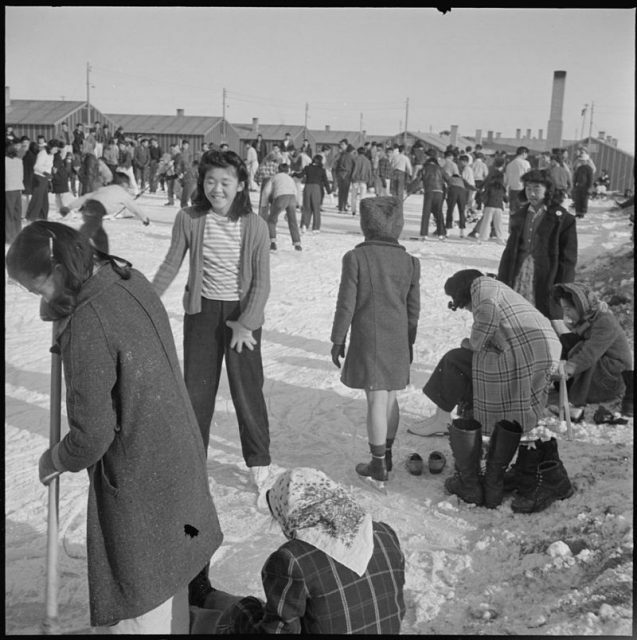 The internment of Japanese-Americans is well known and leads many to believe that they were the only ones detained after Pearl Harbor. Within 48 hours of the attack, more than 1,000 people were detained by the FBI as enemy aliens. This included a large number of Japanese-Americans, but also included people of Italian and German descent. Over the course of the war, approximately 120,000 people would be placed in internment camps. While the majority were Japanese-American, other descendants from Axis powers were also affected. Approximately 11,000 German residents were interned, and an estimated 600,000 people of Italian descent were kept under restrictions. This myth grew to its standing today because of the harsher treatment the Japanese-Americans faced. The 110,000 Japanese-Americans living along the West Coast were forced into internment camps, but most of the descendants from other Axis powers were able to continue living in a manner similar to their lives before the war. 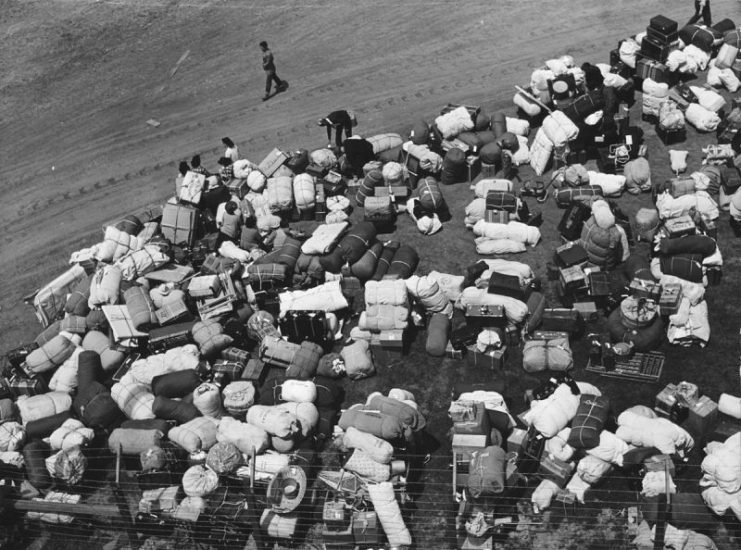 The baggage of Japanese Americans from the west coast, at a makeshift reception center located at a racetrack. The idea that the US government and military responded to the devastating attack quickly and decisively is a popular one, but it is a myth. In the months after the attack, the US suffered multiple defeats in the Pacific region. This myth may have started when a rumor spread through the country on December 8 that the Navy was in pursuit of the Japanese fleet. The notion of pursuit was false, and General Douglas MacArthur was pleading for more naval assistance. In reality, a telegram was sent to President Roosevelt asking for assistance and submarines to target Japanese vessels. This request was unanswered and is believed to have led to the fall of the Philippines to the Japanese. The first major offensive by the US occurred in February 1942. 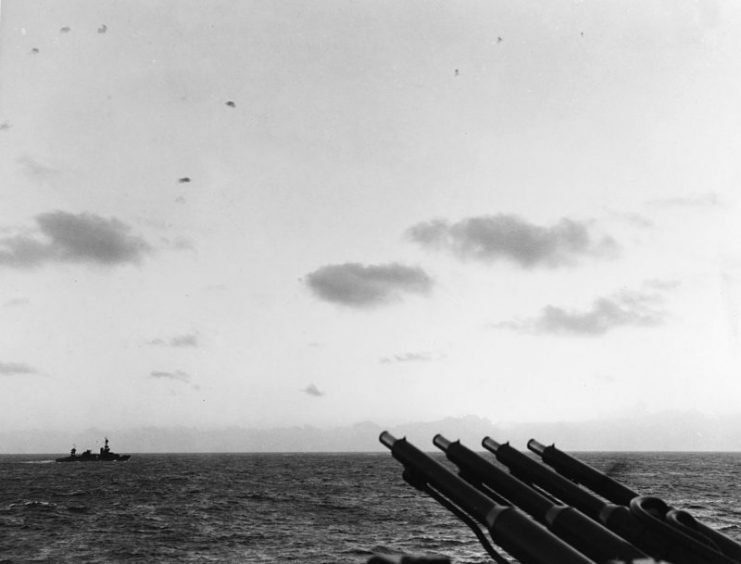 This was when the US Pacific fleet started attacks on the Marshall and Gilbert islands. Before these attacks, the last successful engagement by the US had occurred before Pearl Harbor. The most common myth is that the attack on Pearl Harbor propelled the US into WWII and turned the tide on the Axis powers. A closer look shows that this is not quite true. Before Pearl Harbor, America was largely isolationist and was unwilling to become embroiled in another European war. Archivists found that after the attack, a declaration of war was drafted against Japan, Italy, and Germany. President Roosevelt was to deliver this to Congress on December 8, but it was scrapped and replaced with a declaration against Japan. 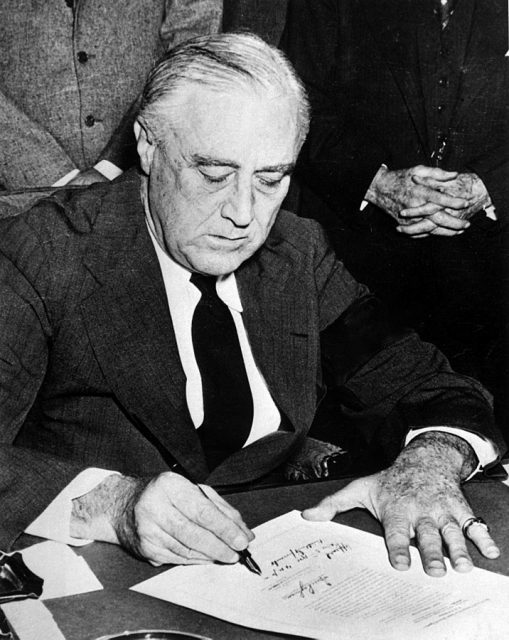 President Roosevelt, wearing a black armband, signs the Declaration of War on Japan on December 8, 1941. 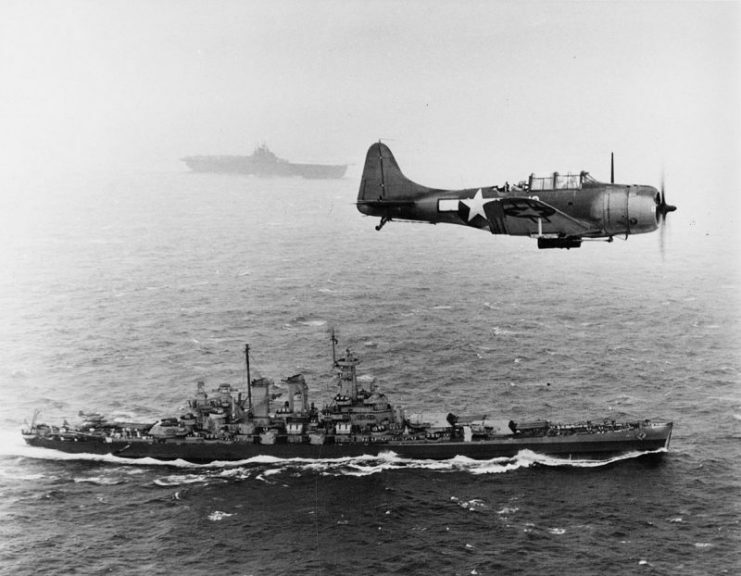 Thus the US was propelled only into the Pacific war as a result of Pearl Harbor–not WWII. Americans only became involved in the European war on December 11. This was the date when Italy and Germany declared war on the US, and Roosevelt had to respond in kind.